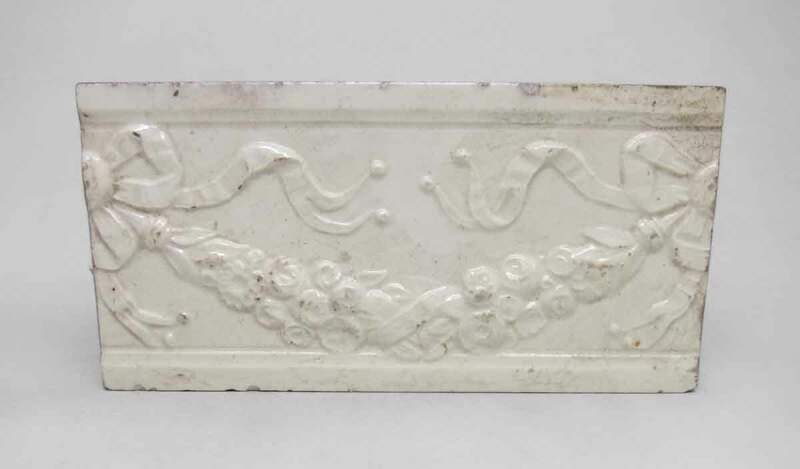 Set of 14 raised white floral draped designed tiles. Some wear. Made by A. E. Tile Company. There are imperfections and minor chips & scrapes from age.